Vetfaan’s SONA and #Time to face the music. It’s been a custom for a few years now, so – once again – Vetfaan is cajoled into predicting what (and how) the president will deliver his yearly State of the Nation Address. To do this, he has to practice saying numbers the way only Number One can, which isn’t easy. “”What about the seven hundred and eleventy-three cases of corruption you are dodging?” As this is only a practice session, Servaas feels free to interrupt. “#Pay back the money is nice, but #time to face the music, seems more appropriate now.” He waves a clenched fist in the direction of Boggel, who immediately realises it’s the old man telling the world he needs a new beer. “Eish, you are a racist pig, Servaas. It’s people like you who make this country ungovernable – did you know that?” Vetfaan pushes an imaginary pair of glasses back onto his nose bridge. “Let me explain it to you – very slowly, so you may understand.” He now points a finger at his audience while he does a little hip-wiggle. “Look, Africa is the biggest continent in the world. It is so big, her rivers never reach the sea and it took Jan van Riebeeck more than sixe…six…sixteen hundred and…ah. Never mind. He took a long time in coming here, understand? “Now, before Jan van Riebeeck, there was no corruption. Nothing. People never had to make laws about corruption because there was none. That is history. Go on, look it up: if you find a single law aimed against corruption before Van Riebeeck’s arrival, you can come and spend a weekend at Nkandla – free of charge. 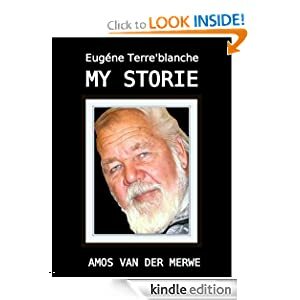 This entry was posted in History, politics, rainbow nation, short story, SONA, Uncategorized and tagged life, opinion, politics, truth on February 8, 2017 by Amos van der Merwe. “It’s the old story, Servaas. Remember the saying:You become your parents? How you were brought up will determine who and what you’ll be as an adult. If you see your parents and leaders acting in a certain way, you naturally assume that’s the accepted norm. Look at our political leadership – and then ask yourself whether the youth, alone – are to blame. “Okay, then I’ll make the State of the Nation Address I would have liked to hear.” Vetfaan gets up, tries to laugh like the prez, and adjusts his imagined glasses with his middle finger. “Compatriots, fellow South Africans and countrymen. Today I’m going to tell it like it is. “Hehehe…destruction of property is unlawful. It’s a criminal act. No matter how angry you are, two wrongs don’t make a right. By burning down universities, you are not creating a better future, are you? From now on, all individuals who cause damage of any sort to property – governmental or private – will be liable to compensate for that loss. Let me remind you that we have laws in place for exactly that. The fact that I’ve been reluctant to prosecute perpetrators in this regard, is shameful to say the least! In fact, it was downright stupid to allow the situation to deteriorate to this level, and I take full responsibility for the lack of proper leadership and discipline. “Furthermore, I realise that I’ve lied about many things – even right here in this parliament. I expected you to believe me, just as the many, many people that’ll still want to vote for us in the upcoming elections. To those faithful followers, I want to say thank you, but no thank you. Do not vote the same way you did before. That’s a sure way to destroy even more buildings and cripple the infrastructure worse than in the past. We are on a certain road to self destruction and we have to make a sharp U-turn or face the consequences. “Then, fellow countrymen, I have instructed the police to have no mercy with murderers, rapists, molesters, and other corrupt officials. Planning for a high security prison in the most inhospitable area of the country is in advanced stage. Prisoners will in the future have no voting rights either. Forget about medical care, nice overalls and a bed. Prison isn’t a hotel. The ablebodied will be put to work wherever we need them – twelve hour days with no minimum wage – cheap labour. If you took part in any activity that harmed society, you will be forced to contribute to society again before you are allowed back on the streets. In this way, we can maintain and service roads, railways, sewerage farms and other infrastructural elements in need of work. “Also, my friends, we are declaring a war on rubbish and litter. How can we expect our countrymen to be proud citizens who want to protect their environment, when government never does anything to educate the masses? Throwing rubbish in the streets, scattering plastic bags all over the veld and heaping up trash everywhere is certainly not conducive to a civilised society. From now on, if you throw your KFC box out of your car’s window, you’ll be forced to help clean up the shanty towns around our cities. “That brings me back to education. Children must be able to attend schools where they are efficiently and properly educated in not only the basics of reading, writing and maths, but where a sense of responsibility is instilled into them. They must learn that all actions have reactions. If they boycott schools, they’re the ones who suffer – and society is only the poorer for that. Ubuntu isn’t just a word, compatriots. We cannot sit here in the luxury of parliament while the children out there are being neglected. If they are disadvantaged, my fiends, we are disadvantaged, too. We’ll leave a legacy of shame if we don’t make a stand on this. “You’ll notice that I haven’t said anything about our economy. It’s not necessary. Once we repair the fabric of our society, the economy will correct itself. What that means, is this: it’s no use making laws and promises when the average man in the street has no hope, no pride and no sense of responsibility. “It’s about freedom, you see. Freedom doesn’t mean you are free to do anything or say anything. Freedom comes at great cost, compatriots. It’s an expensive luxury – and I’m not talking about money here. It requires us to embrace responsibility – something that’s been sadly lacking in these chambers ever since I’ve taken over the reins. And responsibility will cost everyone of us something: some will have to own up to corruption, others will maybe have to admit to lacklustre performances and still others may have to vacate their seats due to incompetence. These are harsh words, my friends, but absolutely necessary. In all the years Boggel has been running the bar, he’s never heard an applause like the one that follows when Vetfaan sits down. 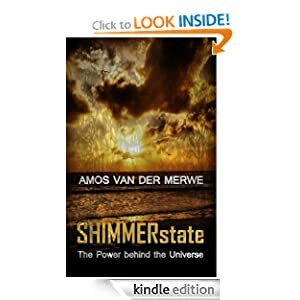 This entry was posted in politics, smalltown short stories, SONA, Uncategorized and tagged south africa on February 25, 2016 by Amos van der Merwe. On Political Correctness, Racial Awareness and Honesty. “So ‘Black’ – the word – is given special significance? If you say something about black – like it’s a Black Friday, or black magic, or blackmail, black market, blackout, black box, black eye – then the first thing we must think about, is race? How absurd is that? Anyway, who started calling people ‘Black’? Nobody’s ‘black’ – we’re all shades of brown and beige and cream.Moreover, we are suddenly so sensitive about the blackface phenomenon that students get expelled for having purple faces when they portray aliens? “No, being proud of who you are, doesn’t make you a racist. It simply means you identify with your individuality, your identity and your culture. You’re a racist only when you put these attributes above all others. If I think white is superior to black, then, sure, I deserve the label. But if I respect somebody else’s right to be who he or she was born to be, that makes me a humanist. 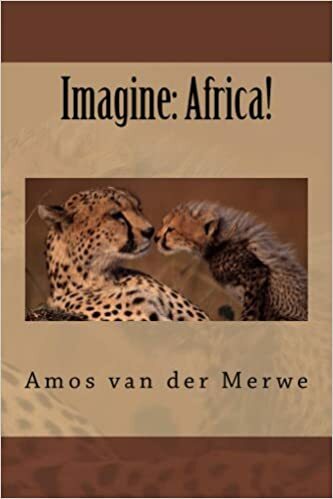 Racism in South Africa would have died a long time ago if the government hadn’t insisted on reviving it all the time.” Vetfaan shakes his head – it’s all so horribly wrong! “I still think there are too many heavyweights in the parliament,” Servaas tries to change the subject to something more humourous. They all laugh at Gertruida’s remark, but it’s the type of laugh you laugh when you get your tax assessment in the post – a despairingly sad laugh, without real humour and tinged with a dose of sadness. “Being politically correct means you insist on living in a bubble, with no own opinion and certainly no insight. That’s the thing, isn’t it? You may think something, but saying it is wrong. That means you have to pretend all the time and you end up fooling everybody except yourself. What that means, is: you constantly have to put the sensitivities and preferences of others higher than your own. In other words, you have to view yourself as inferior to others.” Boggel spreads his arms wide. “Now that, my friends, is as bad as racism where you think you are superior to others. Thinking yourself to be inferior, is just as bad. “Which brings me to justified reverse apartheid. The very words imply that only whites can be racists..which is certainly not the case. 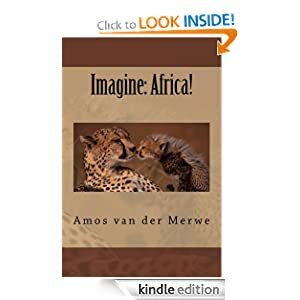 This entry was posted in politics, SONA, terrorism, Uncategorized and tagged politically correct, politics, racism on February 15, 2016 by Amos van der Merwe. “Reminds you a bit about Hans Christian Andersen’s story, doesn’t it? When everybody watched the parade through the city and pretended to admire the emperor’s clothes – but only he believed he was, indeed, attired most gracefully. The naked king actually believed his advisors after they mimed dressing him up – but he was as naked as the day he came into this world. Shows you: putting all your trust in the people you’ve appointed can be a dangerous thing! They must have been so fed-up with his overbearing attitude, they decided to parade him through town for everybody to see him as he really was: a real clown. “He embarrassed everybody but himself, that king! That, I suppose, is only possible when somebody is so vain, he believes himself to be right all the time.” Servaas has always said there is much more to children’s stories than meets the eye (or the ear). “So it’s business as usual? An Imbongi singing the prez’s praises, the whole parliament listening in quiet admiration while the emperor speaks, and the rest of the country in awe?” The sarcasm in Vetfaan’s tone is unmistakable. Boggel laughs so much that he almost drops the bottle he has ready for the next round. This entry was posted in politics, SONA, Uncategorized and tagged politics, SONA on February 11, 2016 by Amos van der Merwe. Swan Lake – the Kalahari Tragedy. “They’re doing Swan Lake in Cape Town – on ice, nogal!” Gertruida sighs as she puts down the newspaper and stares out of the window. Oh, how she longs for the days when she could waltz in to the State Theatre in her best evening gown, excited about another excellent performance of ballet or opera! Out here in the Kalahari, she seems so far removed from those moments. “It’s a ballet, Servaas. With skates. On ice.” Gertruida tries her best to be patient, but old Servaas really gets to her when he’s so ignorant. “It’s like this. We have a country that wants the most beautiful future for all. Then a prince comes along – in the form of our beloved prez – and everybody wants him to love them. With him at their side, the people thought they’d have a chicken on every table, every Sunday. For a while it seemed as if was going to work out just fine. Then a certain Mister Gupta comes along and upsets the apple cart. The prez, it seemed, didn’t love the country as much as the new admirer in his life. So prez teams up with Gupta, see, and the people are left grieving the loss. “Well, one shouldn’t underestimate the Guptas of the world. He’s just using the prez for free landing rights at Waterkloof and the business contracts he can wrangle out of the system. Well, by the time the prez finds out he’s made a mistake, he – and the people who kept him in power – will realise they’ve committed political suicide. So they drown in a sea of corruption and crime, and all the king’s horses and all the king’s men will never be able to put them together again.” Vetfaan raises his glass in a mock salute when Gertruida offers a modest applause. 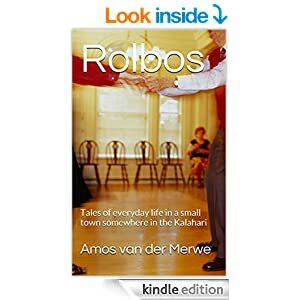 That’s the nice thing about Rolbos: the townsfolk tend to think along the strangest lines, come up with the most ridiculous ideas and somehow manage to be convincing as well as entertaining at the same time. Tchaikovsky would have fitted in quite nicely, come to think about it. This entry was posted in politics, short story, SONA, Uncategorized and tagged ice, politics, south africa, swan lake, WPLongform on February 4, 2016 by Amos van der Merwe. The Greatest Show on Earth…or not? There’s a kind of hush in Boggel’s Place today as they wait patiently for the Honourable President to deliver his State of the Nation Address. It should be a stately affair to showcase the immaculate vision and excellent leadership we as South Africans are proud to present to the world at large. Servaas remembers the days when Oom Blackie Swart was the president and went about in his humble ways. Surely, he maintains, subsequent presidents will try to surpass the standard of honesty and quiet humility our first president set. After all, parliament is the example of the finest men and women in the country and we should be extremely proud of how they rule over us. Kleinpiet has been busy all day researching the perfect State of the Nation Address. He says it’s been invented a long time ago by a gentleman called David Davies, who used to broadcast on LM Radio, If our esteemed First Citizen could say something like this – after bidding us all a fond goodbye and final farewell – he’d be a happy man. This entry was posted in politics, SONA and tagged ANC, EFF, humour, zuma on February 12, 2015 by Amos van der Merwe.